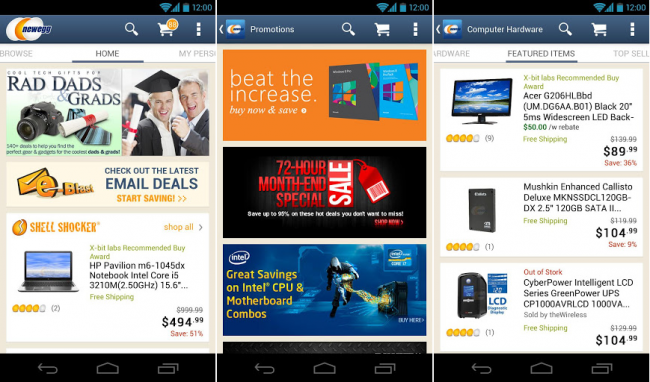 For fans of the online tech retailer, Newegg, you can go grab the newest version of their Android application through Google Play. For version 3.0, Newegg set out to bring a completely new look and feel for the app, allowing users to personalize their homescreen with specific listings, as well as the ability to set push notifications for certain products. Now you can easily keep track of that sweet monitor you’ve been wanting for the house. On top of that, you can now use gift cards for your purchases, so that’s also a major plus. Full changelog is down below. Create a personalized Home Page – set your own updates, etc. Use Gift Cards for Purchases. Go grab it through Google Play right now.